You can find countless blog posts and lists out there saying what metrics a subscription business should measure. 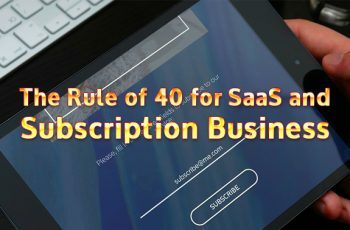 There are tons of nice-to-have metrics, but I’d like to show you 5 metrics that are really indispensable for a SaaS or any kind of subscription business. It’s important to notice that this lists represents my personal point of view – and probably a common sense – but since you can measure up to 100 different metrics for a subscription business it’s ok that you think a metric or two is missing and should be included on this list. Please fell free to share your thoughts in the comments. Also keep in mind that are more than one way to calculate each one of this metrics. Some calculations consider values for a specific customer, for a group of customers or sometimes more general calculations for your whole business. We’ve selected the most well-kwon formulas – but again – it’s ok if you calculate it differently. The better way of doing it is to simply sum the monthly fee paid by every single paying customer of your installed base. So let’s say you have Customer A paying $200/mo and Customer B paying $100/mo. Your MRR would be $.00. See that each customers may be paying a different amount since you can have different plans or event different products in your portfolio. Customer Lifetime Value, usually referred as LTV (sometimes as CLTV or CLV) measures the profit your business makes from any given customer. The purpose of the customer lifetime value metric is to assess the financial value of each customer, or from a typical customer in case you’re measuring it generally. Who are my best customers? How can I offer products and services tailored for them? What types of customers should sales reps spend the most time on? 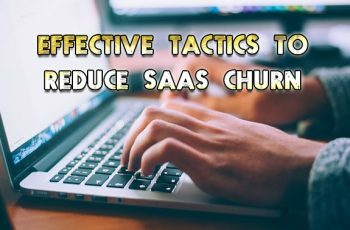 To calculate it, take the revenue you earn from a customer, subtract out the money spent on serving them, and see for how long they stay bringing you this profit before churning. Improving your Customer Lifetime Value can have dramatic impacts throughout your business. So you should always be looking for higher ARPA (customers paying you more money), higher Gross Margin (costing less to produce) and lower Churn Rate (paying you for a longer time). Some sources may refer this calculation as CP (Customers Profitability) instead of LTV, in a way that CP represents the difference between the revenues earned from and the costs associated with the customer relationship during a specified period; and LTV represents the present value of the future cash flows attributed to the customer relationship. Although there’s no common agreement, in SaaS we tend to use LTV only. Average Revenue per Account (sometimes known as Average Revenue per User or per Unit), usually abbreviated to ARPA, is a measure of the revenue generated per account, typically per year or month. You could also say that it represents the Average Revenue per Customer, but remeber that a customer may have more than one account depending on your product/services characteristics. Average revenue per account allows for the analysis of a company’s revenue generation and growth at the per-unit level, which can help investors to identify which products are high or low revenue-generators. To calculate the ARPA, a standard time period must be defined. Most subscription business operate monthly but you can always calculate it yearly or quarterly according to your plans and billing options. The total revenue generated by all customers (paying subscribers) during that period should be divided by the number total number of customers. There is a good practice of measuring the Average Revenue per Account separately for new customers. So instead of having an ARPA metric for all your customers, you’d have two different metrics: Average Revenue per Existing Account and Average Revenue per New Account. In that way you can have a sense of how your ARPA is evolving and how your new customer behave if compared to existing ones. Are they more willing to accept cross-selling and/or up-selling? Measure it separately and you’ll know. The way of calculating it remains the same, the only different is that you’re doing it with two different clusters, instead of doing it all at once. Your B2B customer has been acquired. Customer and MRR Churn chart example.